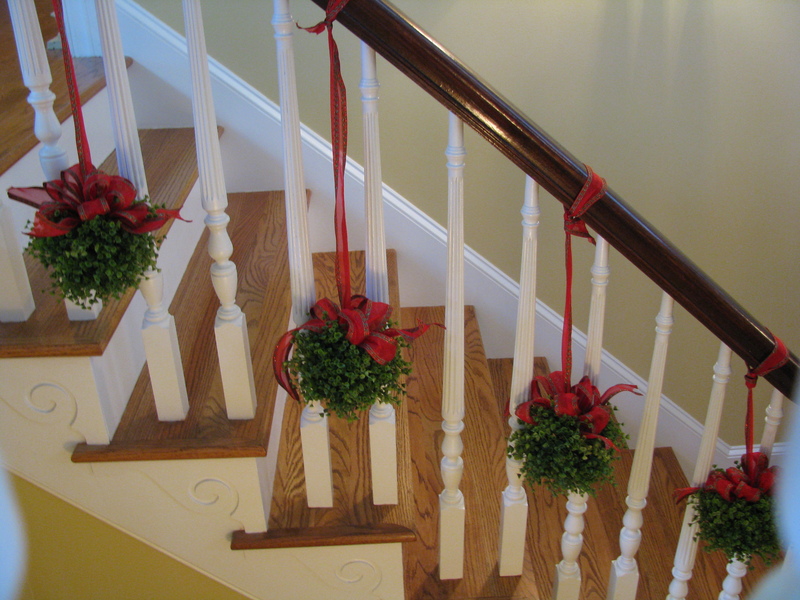 I have stairs that go down to the lower level...rather than placing a traditional garland on these set of stairs, i just placed these boxwood topiaries on the stairs for a more simple look. This looks great. I like it soooo much better than garland. It doesn’t look as busy…simpler, you know, my new design style. I may have to copy this idea on my banister! So happy to give you an idea!..